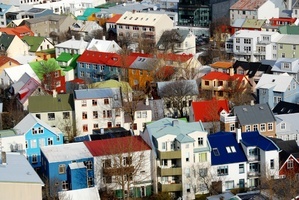 Upon arrival, our guide will pick you up at the airport and take you to Reykjavik. Since most of the flights arrive very early and your room is not ready yet we will take you on a 3-4 hour tour and show you nice places to have lunch. Hopefully, around 2:00pm your room will be ready for check-in and you will have the opportunity to rest before the evening tour. In the evening, our guide will pick you up from your the hotel approximately at 7:30pm (19:30) to take you on Northern Lights Adventure. 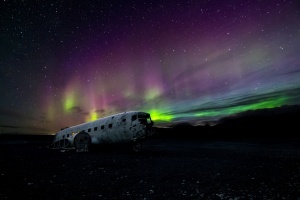 Your guide will be a local person, familiar with the area and the Northern Lights phenomena. He will determine the best place to go depending on whether and Aurora Borealis forecast. He will take you away from the bright city lights, into the darkness of the Icelandic wilderness where your chances of seeing the Lights are maximized. The Northern Lights or Aurora Borealis is a phenomenon, which is indeed unlike anything else that you have ever seen. They are rippling, flickering waves of color, dancing across the night sky displaying emerald green, deep purple, ruby reds, milky yellow and a whole lot more shades of colors. Seeing them is an amazing experience, which will provide a new perspective on the magnificence of nature. This miracle is something that everyone should see in a lifetime. We will keep you warm with some hot chocolate, or Brennavin, the famous Icelandic liquor and bring you back to the hotel around midnight. Please note that chasing the Northern Lights sometimes involves spending some time outside in freezing temperatures: be sure you are wearing several layers of warm clothes. On the other hand, the colder the weather, the more colorful the lights, as the frost particles give them more effervescence. Unfortunately, it is impossible to guarantee that you will see the Northern Lights but you will have a great time with our guide. 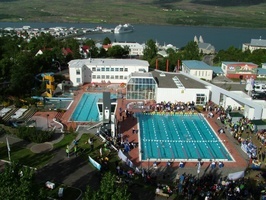 Overnight in Reykjavik. 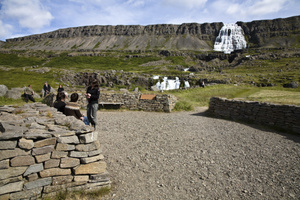 Today your guide will pick you up in the morning and take you on a scenic drive to of the Golden Circle. The Golden Circle is a route encompassing three stunning world-famous locations in southwest Iceland: Þingvellir National Park, the Geysir Geothermal Area, and Gullfoss waterfall. 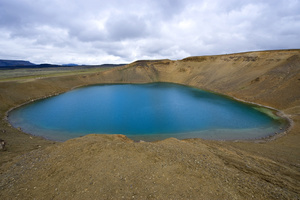 These sites are located just outside of Reykjavik and can be visited within a day. Thingvellir National Park. Thingvellir is a UNESCO World Heritage Site, of the historical, cultural and geographical significance. It is the site where Iceland’s first parliament, Althingi, was formed when a group of nobles gathered in 930 AD and made the oldest in the world continuously running parliament that is still in operation. The site is also teeming with geological wonders - the gap between the European and North American tectonic plates, a vast array of fascinating rock formations, sapphire blue lagoons and much more, making it a place for every visitor to Iceland to visit. From Thingvellir National Park, we will travel to the iconic Geysir geothermal area, with numerous geysers, which make Iceland so famous. The highlight of these is Strokkur - a bubbling, seething spring, which every 5 to 10 minutes violently throws torrents of hot water into the air. You will also see the Geysir, which gives all geysers their English name. Geysir invites you to taste freshly baked hot spring bread served with Icelandic butter, geothermally boiled eggs and herring. 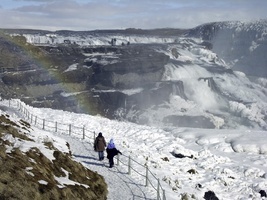 We continue to Gullfoss "the golden falls". a double waterfall that tumbles 34 meters into the Hvítá river, and attracts tourists and travelers in summer and winter. It is named Golden because of the golden hue which is formed when water cascades down. It is a truly magnificent sight to watch the powerful roaring waterfall against a luscious green background. It is indeed one of Iceland’s wonders. Here you will find the ideal spot to snap a picture or just reflect on the glory of nature. Today we explore the South of Iceland. Our first stop is at the Lava Center, an interactive, educational high-tech exhibition of volcanic activity, earthquakes and the creation of Iceland over millions of years. Today’s program is all about glaciers, ice, and icebergs. We will travel to Jökulsárlón glacial lagoon filled with floating icebergs. We will explore this extraordinary site and perhaps see some seals swimming in the arctic waters. You can walk on the black sandy beach where large icebergs get stranded. In the afternoon we will visit the tiny turf church at Hof. The Vatnajökull National Park is about 12,000 square kilometers, and the largest National Park in Europe. In this area we find Iceland’s highest mountains, an alpine environment, and Europe's largest glacier. Tonight you can enjoy a movie presentation about Northern Lights as a part of the Northern Lights Academy program. Be careful not to go to bed too soon in this remote and quiet location, or you may just miss out on one more chance of seeing the Northern Lights shimmering and dancing across the night sky. We will offer you different departure times to the Blue Lagoon, which will allow you to explore the magic of the Blue Lagoon on your own terms. The Blue Lagoon is a large lake with natural nutrient-rich warm water and gorgeous natural scenery making the world’s greatest natural spa. You will be struck by its magical, turquoise blue waters, in the surroundings of dark volcanic, moss-covered rocks. The water, 39°C warm will take you into a world of luxury and relaxation. In the afternoon you will be free to explore Reykjavik, its fascinating museums, great galleries, and rustic coffee houses. We recommend visiting Harpa, the iconic glass concert hall, as well as the shopping street Laugavegur, and Skólavörðustígur, famous for its unique white church. Whatever you decide to do, Reykjavik is a great city, the ideal finish to the remarkable four days. Accommodation is not included in the package, so you will need to arrange this yourself. The itinerary provided is rough as the order of the tours can vary. We always send the final confirmation of the tour itinerary after you book the tour. All the activities will be described in detail in the final itinerary. 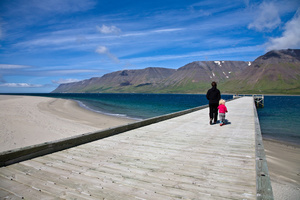 You will be picked up and returned to Reykjavik each day, where you can enjoy your evening in the capital city.